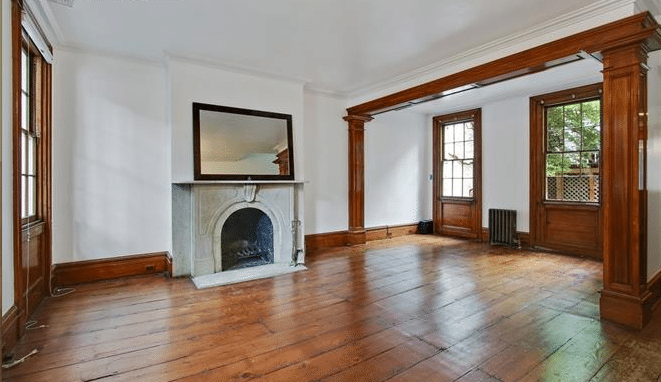 The Aaron Burr House at 17 Commerce St, in West Village is listed for $5.75 million. The owner purchased the home in 2013 for $4.48 million. Although Burr once owned the land this house sits on, he never lived in the actual house. OK, so it’s not a piece of ‘Hamilton’ the musical’s history, but the history of Aaron Burr coincides greatly with Alexander Hamilton, after whom the popular play is named. And the listing agents think that’s just another arrow in the quill to help market a home that was once owned by the former Vice President. Front of 17 Commerce Street. Photo courtesy Corcoran.com. Bernice Leventhal and Sarah Thompson of the Corcoran group listed the Aaron Burr House for $5.75 million. 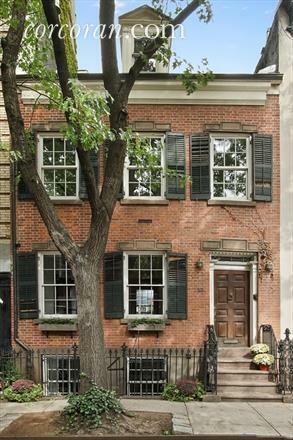 But just to be clear, Burr never lived in the house at 17 Commerce St. in the West Village. He just owned it and the tract of land it sits on, as well other parts of what would become Greenwich Village. 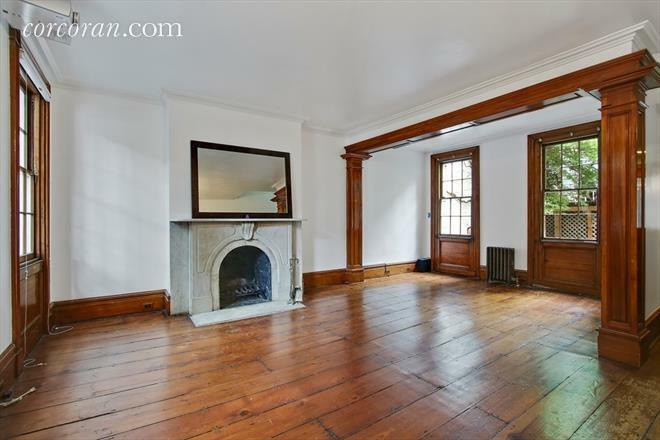 Still, the home has a plaque reading “Aaron Burr House, 1802” on the front. But even in the midst of traveling Europe to stir a revolution in Mexico (and failing), he managed to own quite a bit of property around New York. And if this isn’t a “The time to buy is when there’s blood in the streets” moment, Burr needed cash after his duel with Hamilton, so he sold his tract of land to John Jacob Astor. That tract of land is now Greenwich Village. Abraham Bogert built the home that is currently sitting at 17 Commerce St. in 1830. According to the Real Estate Record and Builders’ Guide: Volume 67, the Knapp family owned the property for aorund 80 years. There is also a reference to Aaron Burr’s ownership in the guide on page 356.